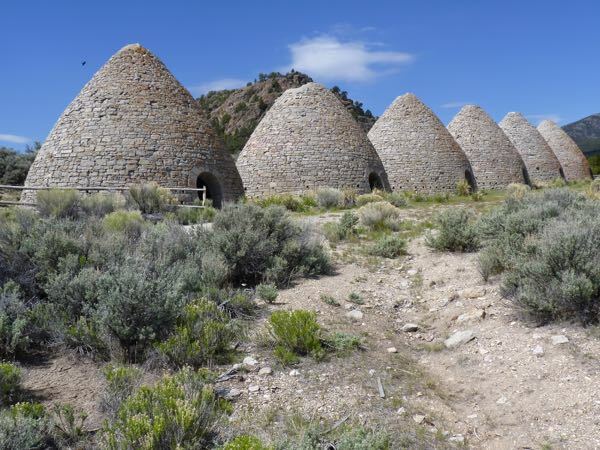 The Ward Charcoal Ovens was a quick side trip to see the historic kilns. They were important in their day for producing fuel that smelters used at the mines. 16,000 bushels per day were needed to process ore. The state has done a good job preserving them and telling their story. 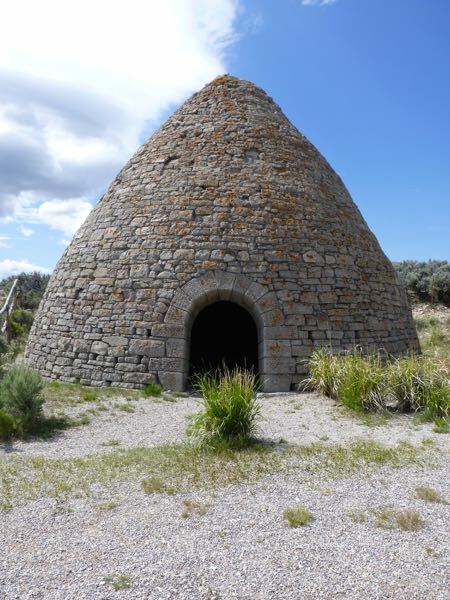 In addition to six large ovens, the park included descriptive panels, a trail, picnic area, and camping. It was pretty hot there, so I didn’t care to hang around for long. So, I continued on to Ely and found a free boondock camp a short distance west of town. A small gravel lot with shelters, picnic tables, and pit toilets did nicely for an overnight. We started out that dirt road to get to them, and turned around because a storm was coming. I always wanted to know what I missed. It was a good wide gravel road. But, about 5 miles to the kilns; so, you were probably wise to abort in the rain. I’ll bet it was hot there at the ovens – in fact Nevada is no doubt hot throughout the state. I’ve often thought of looking for campsites along US 50 – there are quite a few on govt land – but I’ve never actually stayed at any of them. Actually Nevada has more mountain ranges than any other state. So, there is a lot of higher elevation places to camp which are cooler. You should give some of those free camps a chance.